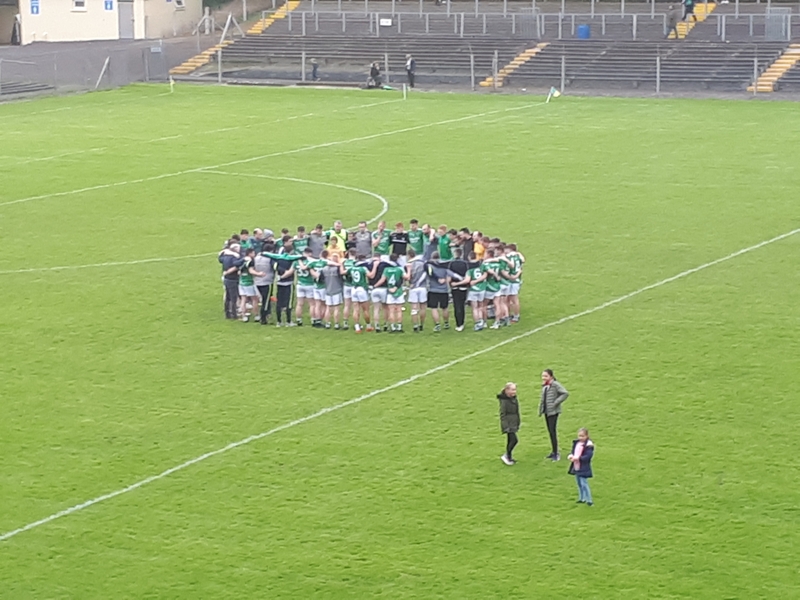 Champions Mohill are a step closer to defending their crown as they demolished Allen Gaels in the Connacht Gold Senior Championship Quarter-Finals while Ballinamore Sean O'Heslin's rescued a draw with a kick from sub Luke Murphy three minutes into added time. Glencar/Manorhamilton got off to a bright start and a cracking goal from Niall Brady gave them a 1-2 to 0-2 advantage after just eight minutes. Shane Moran buried a shot three minutes later but Manor seemed to be pulling clear when another high ball into Moran led to a penalty converted by Peter Reynolds. With the north Leitrim side leading 1-8 to 2-4 at the break, the second half was a dour affair with neither side managing to pull away. Two Evan Sweeney points put Manor a point up when Niall Brady struck for a second goal seven minutes from time. Glencar/Manor looked set for the victory but with Adrian Croal getting a second yellow, Ballinamore fought their way back with Dean McGovern, Peter Reynolds and two from sub Luke Murphy giving them the draw. In the first game, Allen Gaels started brightly against Mohill in the first game in Pairc Sean Mac Diarmada and led 0-4 to 0-2 after ten minutes with some great scores from Diarmuid McKiernan, James Flynn and two Martin Beirne frees. But Mohill turned the tide with three points inside two minutes and they gradually pulled away from the Drumshanbo men. A Shane Quinn goal, after a Gaels player was penalised for overcarrying, gave Mohill a 1-9 to 0-5 halftime lead with McKiernan making a great save to deny Ronan Kennedy. Early in the second half, Keith Beirne tapped home a goal despite more than a strong hint of a square ball and Mohill never looked back as they cruised home to a comprehensive victory.